The Libyan Central Shield says its fighters have captured Tripoli’s international airport after ten days of clashes with nationalist armed groups. Islamist-affiliated forces from Misrata and other cities took over Tripoli’s airport from the Zintan militia, which has held it for three years. Libya’s new parliament, largely opposed to the Islamists, condemned the move. Tripoli’s international airport, Libya’s largest, has been closed for over a month because of the fighting. Hundreds have died since fighting broke out in Tripoli in July. Millions of dollars in damage has been caused to the airport. Libya’s new parliament, the House of Representatives, said the groups now in control of the airport were “terrorist organizations”. 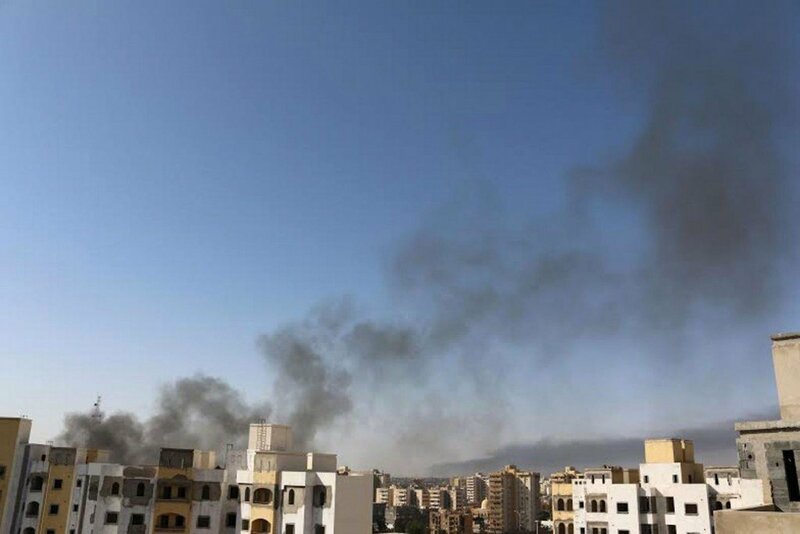 The new parliament, which is based in Tobruk because of violence in Libya’s main cities, has repeatedly called for the militia groups wielding power in the country to disband the join the nascent national army. But so far, few have shown a willingness to disarm. Meanwhile, a spokesman for the Misratan-led militia alliance called for the previous Islamist-dominated parliament to reconvene. Umar Humaydan, who was himself a spokesman for the previous parliament, said that the move was necessary to “save the country’s sovereignty”. It follows claims by the Misratan-led forces that they were targeted by mystery airstrikes for a second time this week. However, correspondents say the call is likely to fall on deaf ears. There were unconfirmed reports of battles continuing between rival armed groups on the outskirts of the city on Saturday evening. Explosions could also be heard in the capital. The capture of the airport is a setback for Zintani forces, who are loosely allied to Gen Khalifa Haftar. The ex-army chief, whose forces mainly operate in the east of the country, launched a campaign earlier this year against what he termed the “Islamist-dominated” government. The country’s militias and political parties alike have had shifting alliances over the last two years. Thousands have fled their homes to escape the violence. More than three years after Muammar Gaddafi was overthrown and killed, Libya’s police and army remain weak in comparison with the militias who control large parts of the country.